You asked for it, so now you will have it! To all my friends in the Bay Area, the original ramen burger is coming. 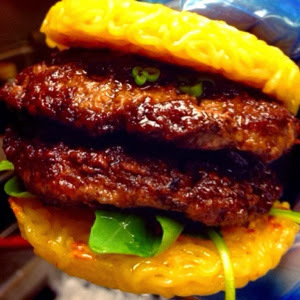 And not just the original, but for the first time ever on any menu...the Double Ramen Burger!! With cheese or without! We'll see you at Mitsuwa San Jose from 11am until they are all gone. Come early and get your hands on one! Are you planning on opening an actual location? Especially one here in San Jose? Please?